Can You Mix Leather & Fabric Sofas in Your Living Room For Home Decorating? Mixing leather and fabric sofas may seem tricky at first glance, but it is a perfectly acceptable design option. In fact, mixing and matching different upholstery fabrics is the hallmark of eclectic design. The key is to plan your room holistically, choosing accessories, lighting, and wall, floor and window treatments that unify this dynamic look. You can mix leather with other upholstery fabrics in your home decor. 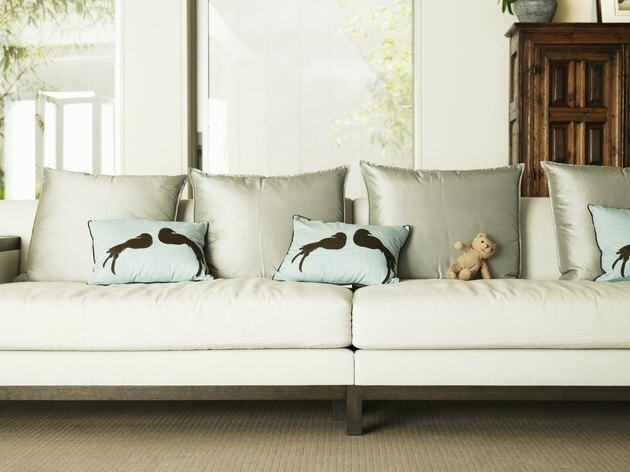 How effective your mix and match of sofas will be depends to some extent on their shapes. An overstuffed black leather sectional with adjustable foot rests might look awkward facing an austere mid-20th-century modern design upholstered in a knotty periwinkle blue silk blend. If you love two pieces with shapes or styles that outright clash, the best solution is to temporarily send one to the attic, and let the other shine. Work with similar colors. If you have one sofa with a clean-lined chrome frame and cream leather cushions, and one soft, roundish loveseat covered in a warm silver and white weave, you can pull the look together easily with tables and accessories. Throw pillows in bright secondary or tertiary colors like turquoise, marmalade and gray can adorn both sofas, a chrome lamp can smarten up a side table beside the loveseat and a woven dove gray, black and white blanket can soften the leather sofa. 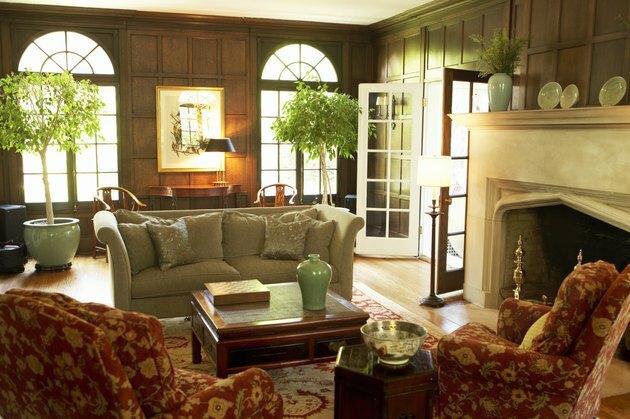 Choose wall and flooring treatments that enhance both sofas. A wall color that contrasts with one sofa but matches the other throws the room off balance -- think green walls against a green sofa and a red sofa -- whereas a neutral color like off-white can highlight both sofas. 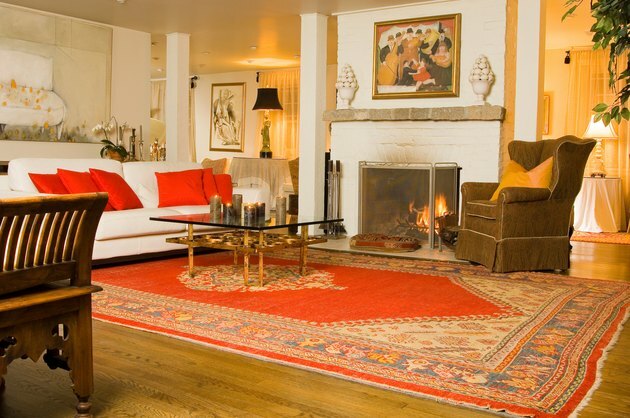 Throw rugs can unify a seating area. Try a cream throw rug with a green and red poppy embroidery beneath those sofas for a cheery, coordinated look. Window treatments allow you to introduce another fabric choice into your design. Layer window treatments with several contrasting materials and textures to play up the melange. Bamboo blinds with breezy blue linen curtains and a heavier green, textured exterior curtain work with many shades of leather and fabric sofa coverings. Match them with a butter-colored leather loveseat and a firm, tulip-red chaise for feminine softness; add a shag rug in caramel and marshmallow and several hand-painted throw pillows in shades of silver, blue and snow to make the look eclectic and cool. What Color Coordinates Well With Tiffany Blue?